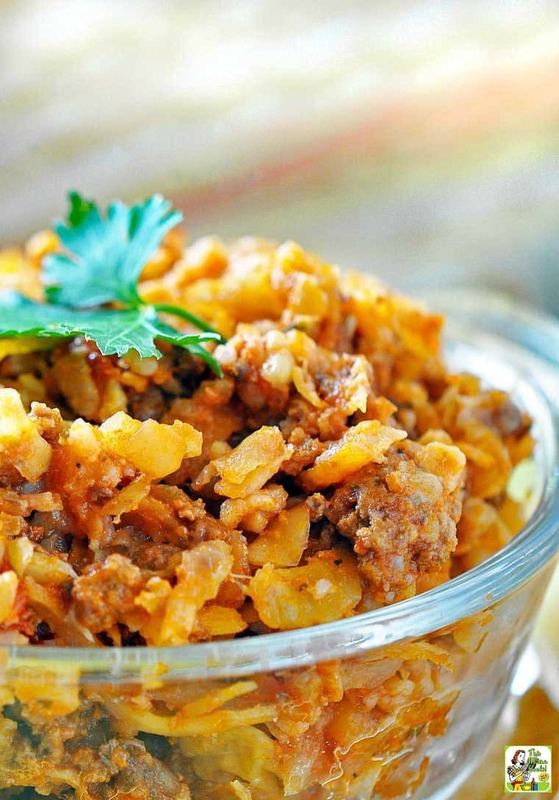 How about making this Cabbage Roll Casserole in your crock-pot this week for dinner? This healthy dinner recipe comes from my frequent contributor, Holly Clegg, and is just the dish for a cold winter evening! Usually stuffed cabbage rolls take a lot of time and preparation. However, Holly’s recipe has all the flavor with none of the fuss. 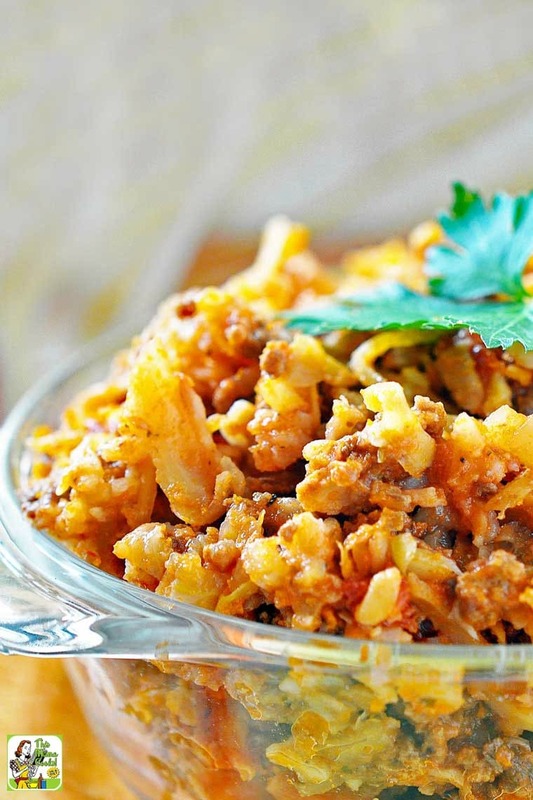 This cabbage roll casserole recipe comes from her Kitchen 101 Cookbook. This crock-pot stuffed cabbage is a snap, too, because it uses shredded cabbage – coleslaw mix from the store – and bottled marinara. What could be easier than that when you’re too busy to cook? Just get this ready in the morning and you’ll have a yummy slow cooker stuffed cabbage casserole waiting for you when you get home. I love a “fix it and forget it” recipe. And what is better than a meal that basically cooks itself in your slow cooker after a long busy day? 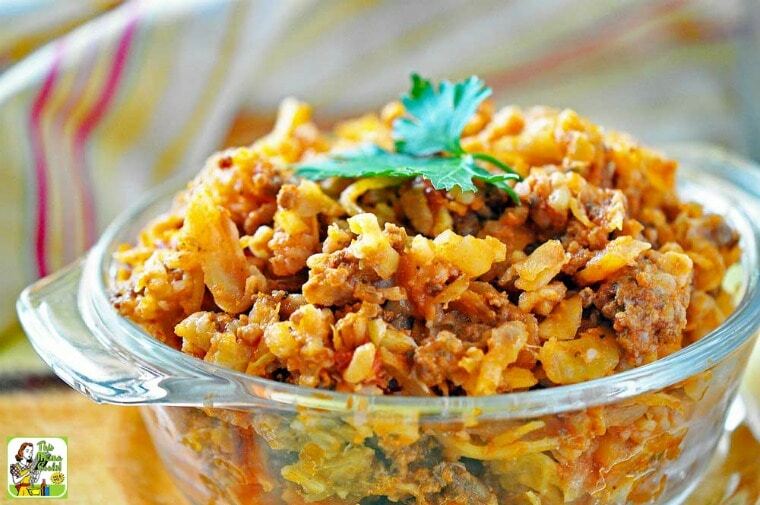 This Cabbage Roll Casserole has all the components of stuffed cabbage rolls combined into an effortless casserole: meaty sirloin, brown rice and marinara, plus the cabbage adds moist sweetness without overpowering the hearty meal. Keep your recipe trim and terrific by using sirloin since meat ending in “loin” or “round” are some of the leanest cuts of meat, which helps cut down on saturated fat. In 3 1/2-6 quart slow cooker, insert plastic liner if desired. In large skillet, cook meat, onion, and garlic over medium heat until meat is done, about 7 minutes. Drain any excess liquid. Add pepper. Add meat with remaining ingredients to slow cooker. Cover and cook on LOW 4-6 hours. Posted in Crock Pot and Slow Cooker, Gluten Free, Recipes, Veggies and tagged beef, casseroles, ground meat, rice on January 23, 2018 by Anne-Marie Nichols.